British members of parliament are gearing up to consider alternative options to the twice-rejected Brexit deal the UK agreed with the EU. It comes amid an intense power struggle between parliament and Theresa May’s government over the country’s future relations with the bloc. In what looks set to be another momentous day in the House of Commons on Wednesday, MPs will take part in a series of “indicative votes” on a range of Brexit options which will give parliament a chance to demonstrate what it could agree on. The process is expected to continue into next week. However, the government says it intends to revive its deal for a potential third "meaningful vote". It is still talking to Northern Ireland’s DUP whose support is seen as crucial. There are signs of a potential climbdown among Conservative Eurosceptics who have previously fiercely opposed the government’s deal. Some now say they are considering backing it. They fear a softer Brexit or no Brexit at all, and include prominent figures such as Jacob Rees-Mogg and Boris Johnson. Meanwhile, European Council President Donald Tusk has appealed to MEPs in the European Parliament to be open to a long extension to the Brexit process, to represent the large numbers of Britons who wish to remain in the EU. 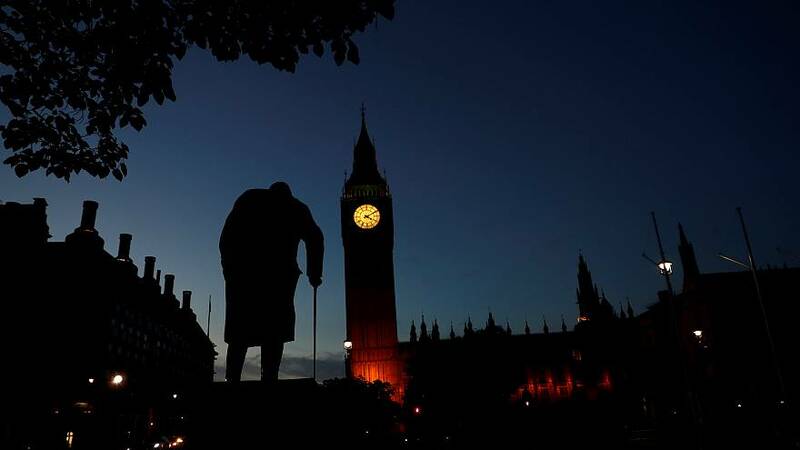 MPs voted on Monday to wrest control of parliamentary business from the government for a day in a bid to find a way through the Brexit impasse. Three ministers resigned in order to back the move. The indicative votes are not binding and Prime Minister Theresa May – who is under pressure from Brexit hardliners who want her to leave office – has refused to guarantee that she will abide by any decisions taken. Liam Fox, the international trade secretary, has also suggested the government could ignore MPs’ views from the if their choice goes against the Conservative manifesto. House of Commons Speaker John Bercow will not select all of the amendments on the order paper for a vote in the Commons as many overlap - for instance there are three amendments calling for a customs union. Nearly three years after the Brexit referendum, all this is being thrashed out just weeks before the UK’s scheduled departure from the EU under the revised timetable. Wednesday March 27: Speaker of the House of Commons John Bercow will announce which "indicative votes" will go forward and how they will be organised. It is not clear whether MPs will get a free vote or take orders from their parties. They are set to start voting on alternative Brexit options at 8 pm CET. Constutitional and accountable government: Proposed by Brexiteer Conservative Sir Bill Cash. Calls for MPs to respect previous Commons votes and says MPs cannot take control of parliamentary business without a two-thirds majority. Vote on Theresa May's plan: A compromise amendment proposed by Labour MPs Peter Kyle and Phil Wilson but submitted in the name of Dame Margaret Beckett which suggests MPs will vote to confirm Theresa May's deal but only on the provision that it is then subject to a public vote to confirm it. This was previously submitted during earlier votes but voted down. The Independent Group has indicated it will support it. A new customs union: Labour MP Gareth Snell will put forward a motion aimed at "compelling the Government to negotiate a new UK-EU customs union after we leave the EU". Any customs union: Fellow Labour MP Hilary Benn has tabled a motion that seeks to include a customs union in the withdrawal deal. More customs union: Proposed by Kenneth Clarke. Also calls for the UK to negotiate a customs union. Unilaterally leaving the Irish backstop: Proposed by John Baron. Instructs government to open the Withdrawal Agreement to negotiate for it to be able to unilaterally leave the Irish backstop when it believes conditions have been met to avoid a hard border in Northern Ireland. Unlikely to get any sympathy in Brussels. Leaving without a deal: Also proposed by John Baron. A favoured option of the more hardline members of the European Research Group which has already been rejected by parliament. Common Market 2.0: Conservative MP Nick Boles will tomorrow table a lengthy motion outlining a "Common Market 2.0". EEA and ETFA terms; no customs union: Proposed by Conservative Brexiteer George Eustice. This means the UK will negotiate to stay in the European Economic Area but not the customs union and will renegotiate on the Irish border. Likely to be rejected by the EU if it passes. Revoking Article 50: Proposed by SNP MP Angus Brendan MacNeil. It would instruct the government to send a letter to the EU saying they want to revoke Article 50 altogether if a deal has not been reached within four days of the exit date. Contingent preferential arrangements: Proposed by Brexiteer Conservative MP Marcus Fysh which says if the government cannot get its Withdrawal Agreement through parliament it should immediately seek a range of arrangements with the EU to manage the immediate post Brexit environment and should "unilaterally guarantee" the rights of EU citizens in the UK. The Malthouse Agreement: This agreement is closely modelled on May's deal, but replaces the Irish backstop with an arrangement based around a zero-tariff free trade agreement relying on technical solutions to move checks on goods away from the border. But this compromise agreement within the Conservative party has already been flatly refused by the EU as it would mean reopening the Withdrawal Agreement. Getting regional government consent: Proposed by SNP Westminster leader Ian Blackford. This requires the UK government to secure the consent of the Scottish Parliament and Welsh Assembly before Brexit can happen. It is likely to cause further deadlock due to the Scottish government's opposition to Brexit. If no alternative option brings a consensus, it’s thought Theresa May and her supporters might see this as a chance to put the withdrawal deal before parliament for a third vote. No longer Brexit day, but effectively the deadline to seal a Brexit extension until 22 May. The European Council's communique on March 21 said this will be the new date the UK leaves the EU, “provided the Withdrawal Agreement is approved by the House of Commons next week”. The "indicative votes" process is expected to continue as members of parliament eliminate options and home in on Brexit models that could command a majority. This is the new hard deadline the European Union has given the United Kingdom to decide what to do about Brexit. The two-week reprieve granted by the EU means that as things stand, this becomes the new legal date for the UK’s departure from the bloc under EU law — unless the Brexit deal is passed. Otherwise, the European Council — the leaders of EU member states — expects the UK “to indicate a way forward” by this date. The new Brexit date if the UK parliament approves the EU withdrawal deal. If MPs do vote it through at the third attempt this week, the date will be pushed back to May 22 to allow for the necessary legislation to pass. It boils down to a hard choice between the exit deal, a no-deal Brexit, or another option that is acceptable to the EU, which would involve a further delay and the UK taking part in European Parliament elections in May.